Normally you hear about infrastructure investment as a sign of smart asset allocation. 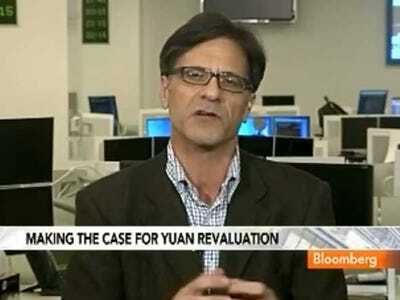 Michael Pettis gives a few reasons to look at it negatively in China. Namely, investments have been incommensurate with productivity growth, and low capital costs have lead to reckless spending. Pessimists argue that productivity levels are too low for these projects to be comparable to Japan or any other developed country. Remember that the value of infrastructure depends substantially on the productivity of labour, so that the optimal infrastructure level for countries with lower productivity is necessarily lower than for countries with high productivity (and it is not clear that the Japanese high-speed railways were anyway economically viable). Pessimists also argue that with costs of capital set so artificially low and with tremendous near-term pressure on local policymakers to promote large infrastructure spending, there is an incentive for policymakers to misallocate capital, and when there are incentives to waste money, money tends to get wasted. By the way the experience of the US in the late 1920s or the late 1990s, Latin America in the late 1970s, Japan in the late 1980s, and in several other smaller instances, is apposite. In each case we tended to see the big investment scandals start to develop towards the top of the market, when financial distress strains first became noticeable, and then continue into the first few years of the contraction. That doesn’t mean it is happening again in China, of course, but if it were it would conform to earlier patterns.